Get to know Kobe on a day-long walking tour, and discover its passion for street culture and sake. 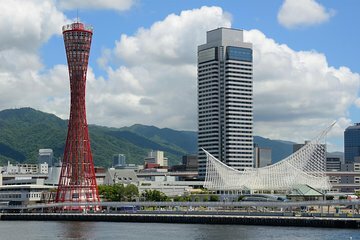 Led by a knowledgeable guide, the tour includes round-trip train transport between Osaka and Kobe, plus walks around the city’s historical quarters and waterside parks. Sit down for a buffet lunch of both Western and Japanese treats, and then the best part: sample sake at Kobe’s Hakutsuru Sake Brewery Museum. Very good tour and guide was very good. Good tour lead, knowledgeable, caring and efficient. But the places visited could be done on your own. More interesting places could be added on this tour.